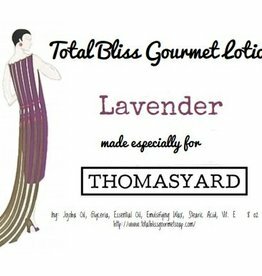 Total Bliss Gourmet Soap® is an all natural handmade soap business, run by Brenda Ritchie. She and her husband live in New Market Virginia. 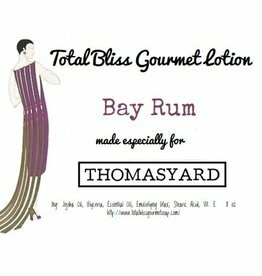 The roots of Total Bliss Gourmet Soap® began in 2003 when Boyd had very bad skin problems and continuously doctored and medicated his skin. He went to the dermatologist every three months and applied steroid medications several times daily. Even after all his diligent efforts he still was faced with extremely itchy raw spots that would not heal. Brenda began researching his problems and found that "store bought soap," including bar and liquid soap, is mostly chemicals, detergent and skin irritating additives. She began experimenting with various formulas and created one that immediately made a huge difference in Boyd's skin. He discovered that the "store bought" soap continually irritated his skin and created the itchy sore spots. Once he began using the special handmade soap, it allowed his skin to finally heal and the itchy spots and sores disappeared. He has not had to go back to the dermatologist since 2003 and became a great believer in the natural handmade soap. They began to give the soap to family and friends who also had skin problems. Soon, calls began to come in from local business owners who had been given the soap by neighbors, etc. They wanted to stock the soap and lotions in their stores. 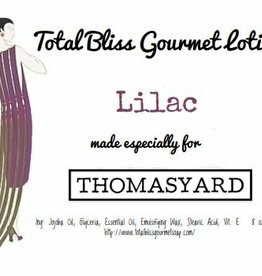 Since then Total Bliss Gourmet Soap® has grown to include a multitude of commercial accounts nationwide including gourmet soap markets, gift shops, gift-basket suppliers and natural product stores throughout the Mid-Atlantic region. Their handmade lotions are all natural and registered with the U. S. Department of Agriculture's BioPreferred Program as well as with the Virginia Department of Agriculture's Virginia's Finest Program. The Biopreferred program promotes the development of products derived from plants and other renewable agricultural products to discourage the creation of petroleum-based products and detergents. The federal government does more than just highlight bio-based products made in the USA. It operates the certification and labeling program to help companies market their goods and has mandatory purchasing requirements for bio-based products for federal agencies and contractors. 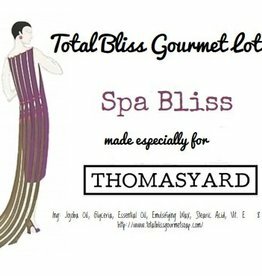 Total Bliss was one of the initial businesses to be approved and enrolled in the program. The USDA contacted Total Bliss as the program was launching and asked them to be on a committee to provide input and feedback for the program. Their products are all-natural products that are sustainable and do not affect the Earth with chemicals. 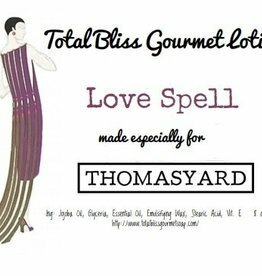 Be assured when you purchase Total Bliss® you have the finest natural products available.